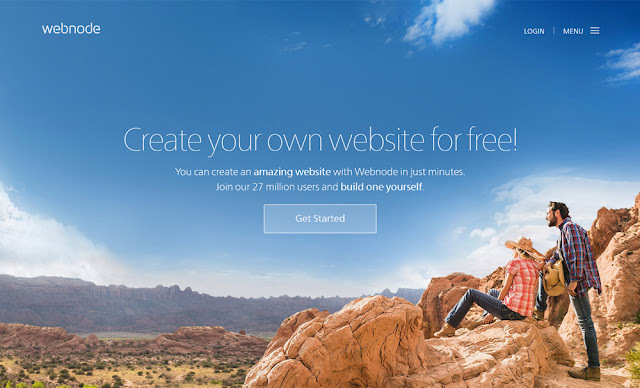 10 Easy-to-Use Free Online Tools for Building Websites | The Daily Programmer '+g+"
Want to build a beautiful and interactive website? Wix is the perfect option for you! With over 103 million subscribers and almost 3 million paying customers, the platform is sure a huge brand in the market. 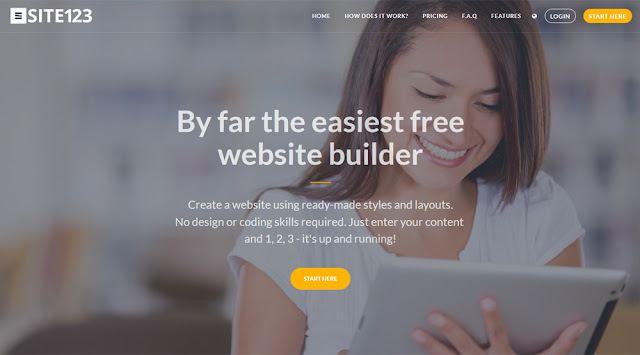 Wix is a popular website builder that features a proprietary WYSIWYG framework that uses ADI or artificial design intelligence to develop websites and stores. The platform is known for its industry-specific tools that cater to businesses from all sectors including fashion, photography, hotel management, and e-commerce. ADI is a recent addition to the platform where the entire website is built automatically by Wix using its own AI program. SEO enhancement tools, CMS solutions, e-marketing solutions, and an intuitive interface are some of the other features offered here. Weebly is one of the easiest drag and drop website builders out there. It allows users to develop web pages without writing a single line of code. The platform supports over 40 million websites till date and is especially popular among amateurs and first-time users. However, that doesn’t mean the website builder lacks robust features and advanced editing tools. 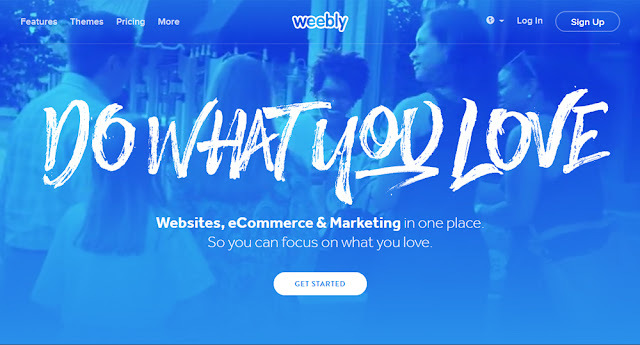 Weebly has a collection of high-tech SEO solutions, CMS tools, and professional services that enhance the performance of your website immediately. The platform offers free web hosting and cloud backup services to its clients. The WYSIWYG editor is simple, clutter-free and very responsive where you can individually customize pages directly from the sidebar. 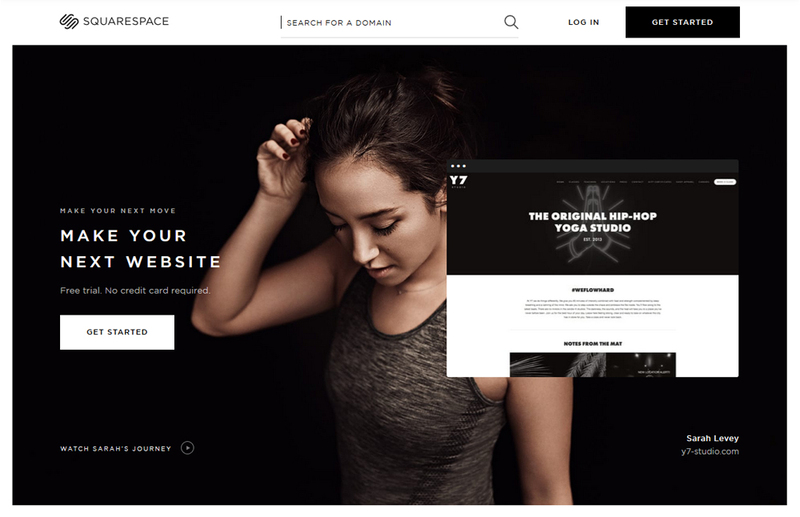 Squarespace is an unconventional open source website builder that is well known for its innovative upgrades and flexible tools. The dashboard is clutter-free and easy to access. Most of the editing tools are available from the sidebar; you can add elements directly on the interface by simply dragging and dropping them. You can even customize the meta tags and HTML coding in real-time using the live in-house editor. Squarespace offers themes for all kinds of web pages, which are compatible with all kinds of mobile devices. The platform even generates a mobile-friendly version of the website automatically once you publish your content on the server. Site 123 is another easy drag and drop website builder that allows users to create functional and attractive websites in three simple steps. All you have to do is register, choose a theme, customize it and publish. You need no coding skills or technical expertise to work on Site 123; everything can be customized using the drag and drop interface. You are directed to the in-house editor once you click on the “Start Here” button. You get over 100 premium quality themes that are compatible with all Android, Mac, and IOS devices absolutely free of cost. With the free plan, you get 500MB storage space and 1GB bandwidth. The Pro plan (paid) is available for just $8 a month. Shopify is one of the biggest multipurpose store development platforms. It covers every aspect of web development, right from the designing to the post-publication services. 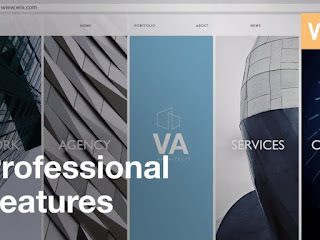 The website builder connects the vendors and customers, providing them a place where they can conduct business smartly and more effectively. 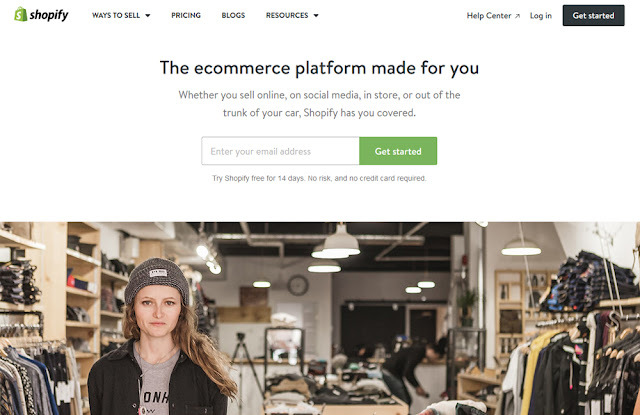 Shopify is particularly great for start-ups although the premium plans are a bit expensive. 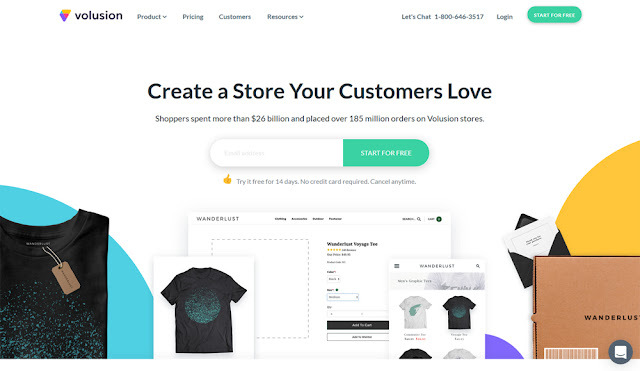 The interface is very flexible and allows all the basic functions such as inserting text, adding images, videos, and graphics, embed payment gateways and attach catalogs to your store all in a matter of minutes. WordPress is very popular among budding bloggers, businessmen, designers and web developers who want to build beautiful and professional websites for expanding their enterprise. 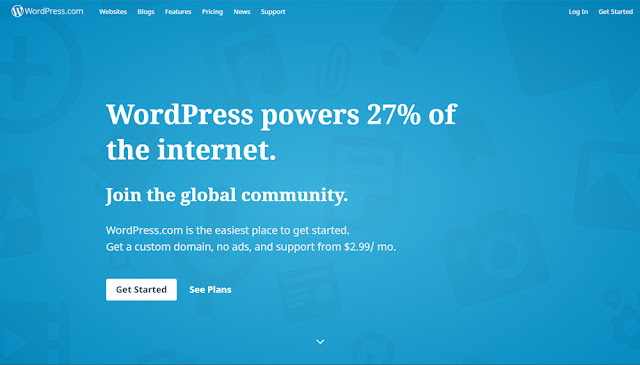 The platform is powering over a million websites worldwide and currently hosting over half of them. The powerful and user-friendly interface is very easy to manage; the dashboard is loaded with the most advanced customization tools while the technical support is reliable and quick to respond. 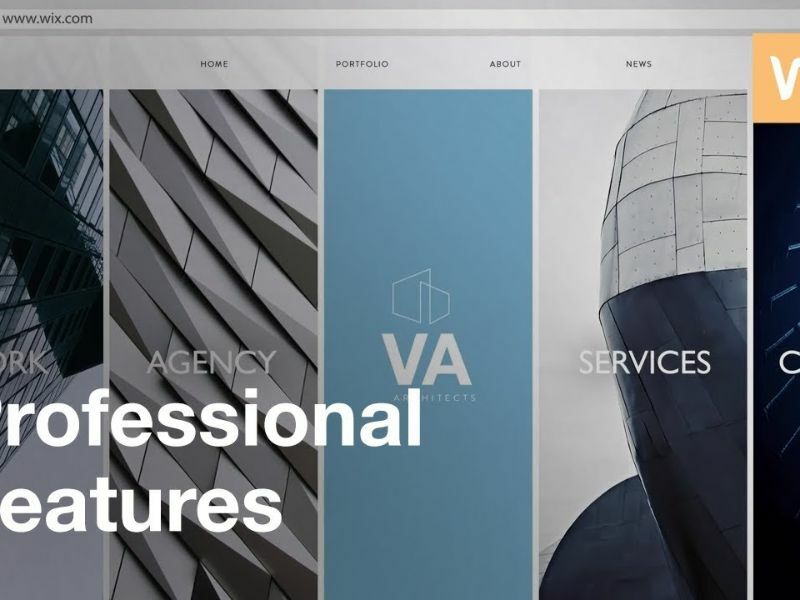 There are thousands of free WordPress themes spread across categories such as Music, Design, Photography, Art, Professional, Online Portfolio and Food. WordPress comes with a lot of plugins and extensions such as WooCommerce and Yoast SEO to boost your page ranking and web presence. Jimdo is a free website builder that has over 20 million subscribers till date. The platform offers free web hosting, domain registration, and cloud backup services. The premium plans offer users perks like unlimited storage, wide bandwidth range, free automatic backups and multiple languages support. The in-house editor is very easy to customize and manage; most of its tools are accessible from the sidebar. Here you can add images, insert content, embed widgets all with a simple click. Users can even tweak the HTML code and CSS style sheets if they have the required technical skill. 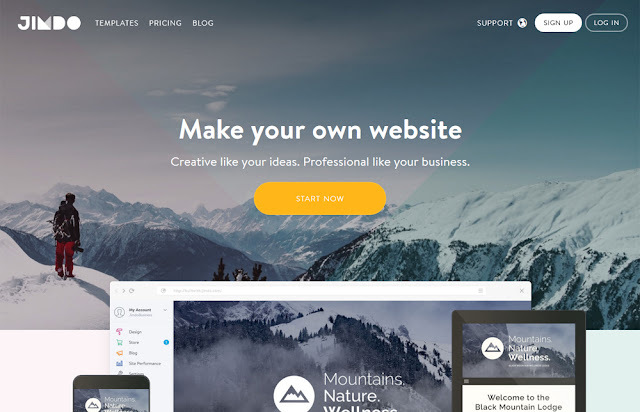 Web Node is a website builder that was sidelined by its competitors as a simple and basic website builder. However, the recent updates in 2015 have brought it back in business. With over 20 million registered users and more than a million websites, the platform can be customized in 20 languages. Earlier editing a theme or tweaking the elements was a tough task as it was difficult to locate the problem. Now, with the section-based transitioning, users can immediately locate the problem and solve it accordingly. You even get over 17 pre-set templates can be edited both manually and via the interface. Volusion is an old website builder that was launched way back in 1999 and supports over 40 thousand websites worldwide. The interface though a bit complicated than other website building platforms is armed with powerful editing tools and advanced features. The dashboard comes with video tutorials, help blogs and a live technical team that is responsive and always available. A unique thing about the website builder is the availability of three separate editors for customizing text, WYSIWYG content and navigating through the website. Volusion features around 80 free themes and 280 paid layouts that are compatible with all devices. 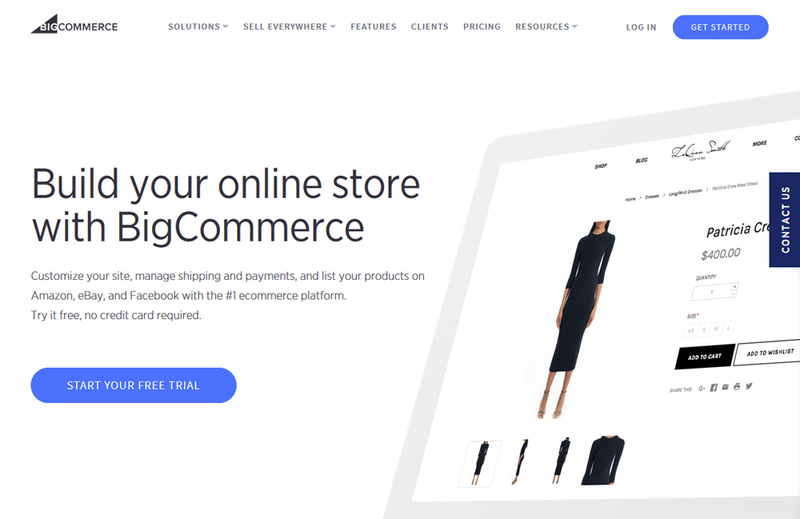 Bigcommerce is a website builder that was launched in the year 2008 and has managed to support over 10 thousand websites till date. The platform caters to large-scale enterprises and established concerns that need powerful e-commerce features and long-term solutions. The open source web development tool was built on the SaaS framework and assists you in building e-stores, web pages, and blogs. The interface allows you to add banners, insert catalogs, integrate payment gateways and create performance reports for better productivity. It comes with 90+ themes that are compatible across all devices and can be customized in minutes. With more and more customers switching over to the World Wide Web for their everyday needs, it is only natural for sellers and entrepreneurs to set up e-stores and monetize on it. Creating a website might be just your ticket to success in the industry. Thanks for sharing those useful tips based on your personal experience with us! I'd like to advise you reading this article: http://www.agsinger.com/is-naming-your-blog-after-yourself-a-good-idea/. How do you think is naming your blog after yourself a good idea? Or it depends on your blog niche? Deciding on a name is an important first step while starting a blog. Still, finding the perfect name for your blog can be a tricky task. Can you give us some tips as to this issue?